Poison Control Center talked busking for burritos in Tempe, receiving glowing Pitchfork reviews, and opening for Pavement in Kansas City today at KRUI. 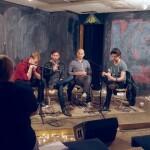 They also played 3 songs (one never before released) live in the studio. Top Row, L-R: Joey Terry (Bass/Trumpet/Vocals), Devin Frank (Guitar/Vocals), David Olson (Drums/Vocals), Patrick Fleming (Guitar/Vocals), Max Johnson (KRUI Interviewer/Assistant General Manager). 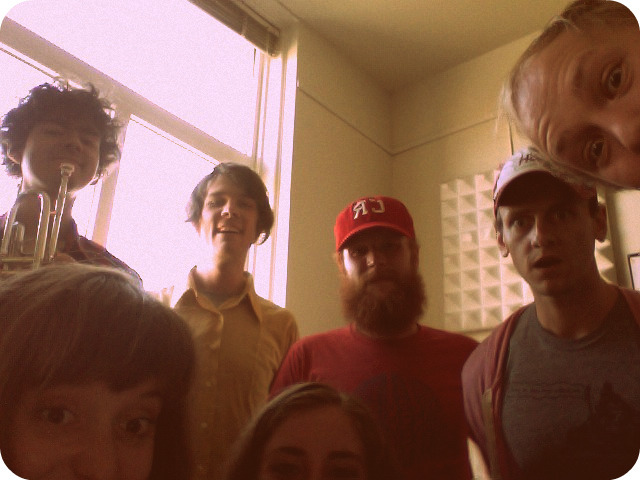 Bottom Row, L-R: Kendall McCabe (KRUI In-Studio & Online Content Coordinator), Emily Levins (KRUI Fancy Music Staffer).